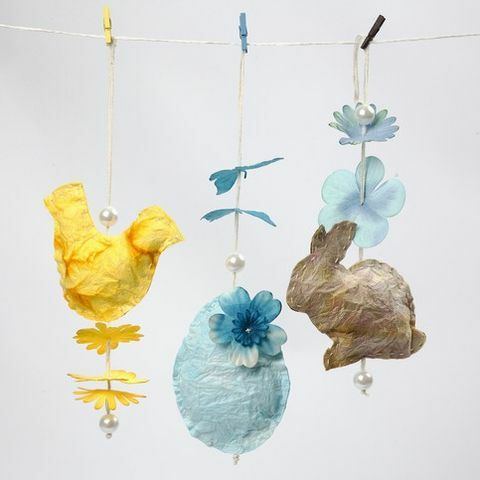 These paper shapes for hanging are sewn from handmade paper made from mulberry and dyed using the classic watercolour technique. 1. Lightly moisten the paper with water. 2. 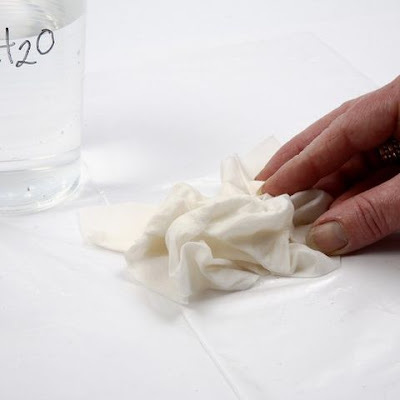 Scrunch up the moist paper and place it on a piece of plastic. 3. 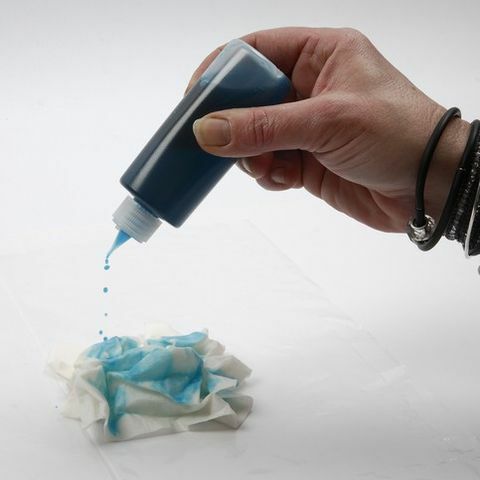 Dab water-colour paint, mixed with water onto the moist paper. Let the paper dry. Leave it in its scrunched up shape. Let the watercolour run. 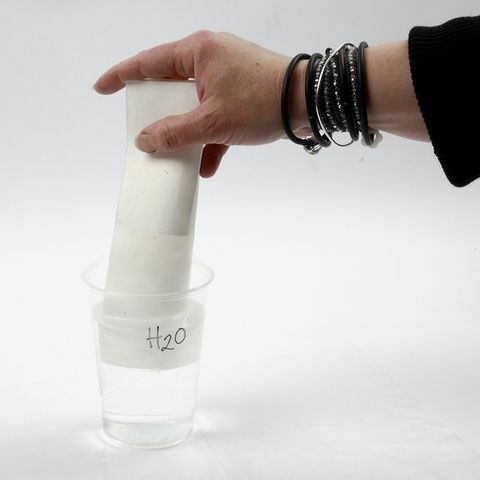 This gives a very exciting effect in the uneven fibres of the paper. 4. Smooth the dry paper by hand. Draw a pattern using the template for this idea which is a separate pdf file. Cut it out. 5. 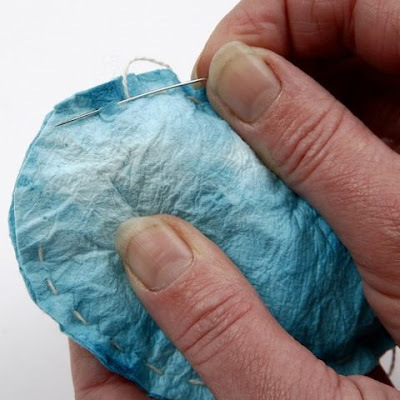 Use a piece of mercerised cotton yarn for sewing the parts together with tacking stitches. 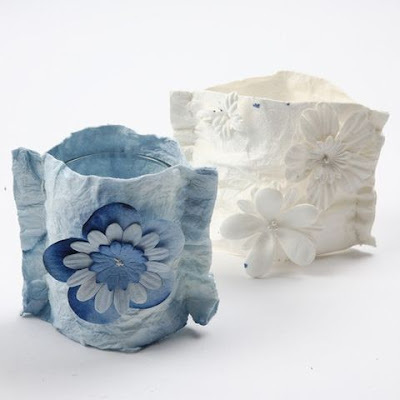 Leave an opening of 5cm for filling the shape with polyester stuffing. 6. Fill the shape with polyester stuffing and close the hole with tacking stitches. 7. 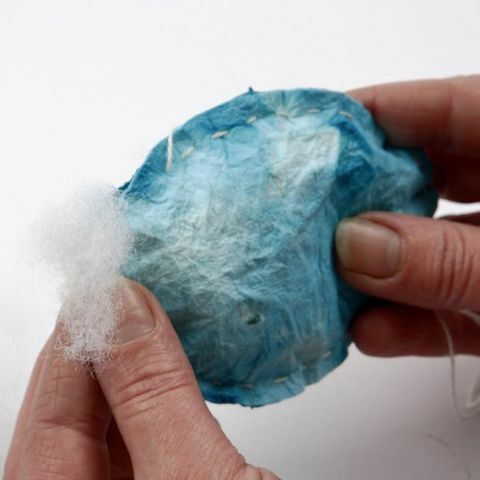 Make a four ply piece of mercerised cotton yarn for hanging. 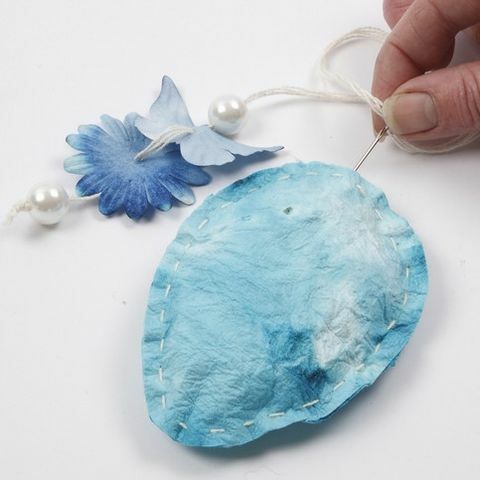 Thread a bead, a flower and finally the finished paper shape onto the four ply mercerised cotton yarn You may finish with another bead. 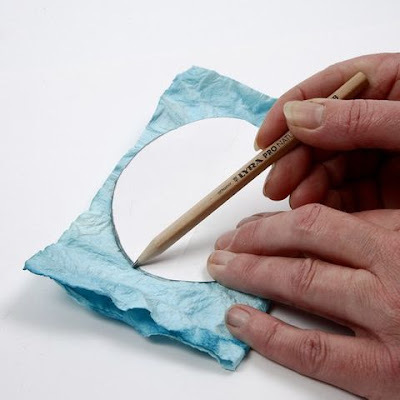 A candle holder cover: measure the paper, cut and sew the two sides together to fit the height and the circumference of a candle holder. You may sew beads and flowers onto the paper in case you want additional decoration.